If you have been around A&D on a Tuesday evening it’s hard to miss the bustling scene of our El Milagro – Mexican Street Food night. With all the finest of what Mexican street food has to offer, it’s no wonder people can’t get enough of our delicious offerings. 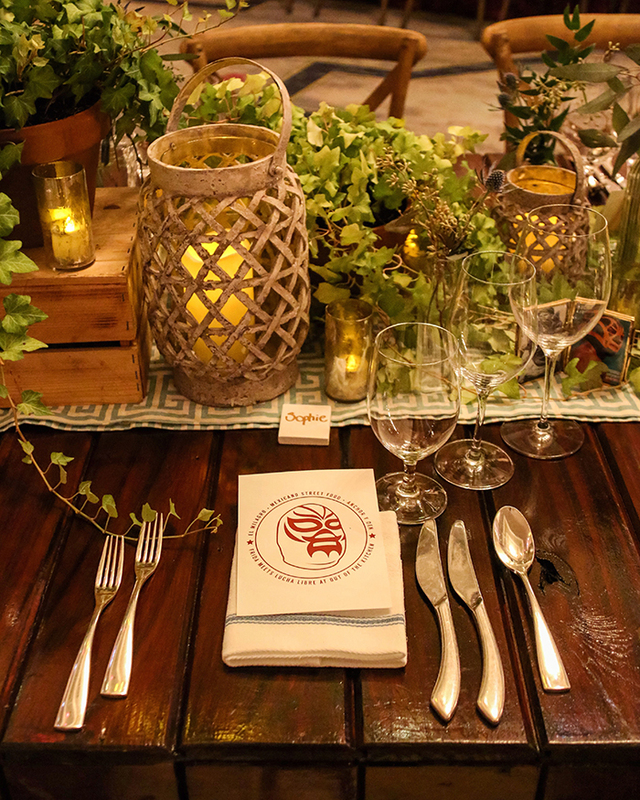 El Milagro – meaning ‘the miracle’, was launched in November 2016 at the very popular ‘Out the Kitchen Event’, one of the annual highlights of the culinary scene calendar. The idea behind our quirky take on classic Mexican favourites was inspired by the vibrant street food scene of Mexico City. Throw in visual inspiration akin to Frida Kahlo’s iconic muse from this nostalgic era and pop culture visuals like Lucha Libre (Mexico’s well known masked superheroes) and you have a fun and exciting vibe in the heart of A&D. Whether you’re in the mood for some elotes (delicious Mexican street corn) or some hella good tacos we have everything you need to satisfy your Mexican cravings. The best part about it is that it’s all you can eat! Yes, that means unlimited tacos! When it comes to our cocktail options we have put a fantastic twist on some unforgettable classics. From elderflower infused Palomas to homemade Micheladas. If you want to walk on the wild side and try some funky Del Maguey mezcal cocktails, trust us these smoky concoctions are the die for! Don’t delay, book your reservation at Anchor & Den to experience this fun and quirky event for yourselves.